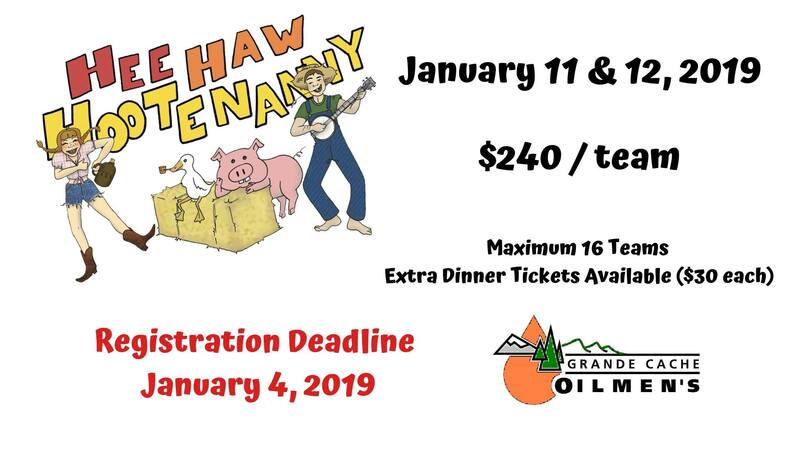 The Grande Cache Oilmen's will be hosting their Redneck Hootenanny Bonspiel on January 11-12 2019. This bonspiel is an open mixed format. There will be a maximum of 16 teams. Registration forms are available at the Grande Cache Curling Club.